The Darlings By the Sea hotel in Kure Beach, NC is a great opportunity to own and operate an existing hospitality business! Darlings By the Sea is a 3 story building with 5 suites and a penthouse. The penthouse is on the third floor and presents the owners with several possibilities. A new owner could live and run the business out of the third floor, they could reconfigure the third floor to add more rentable rooms, or make it all one structure for a large personal residence. 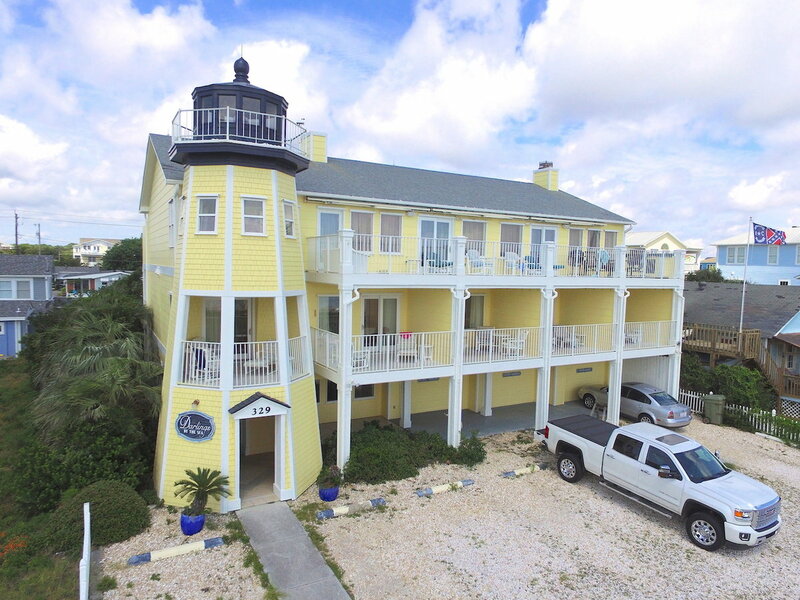 With 1,000 square feet of ocean view deck, this is truly a unique chance to own an oceanfront business in Kure Beach, NC. There is on-site parking, 3 outdoor showers. The property features a gym, 2 outdoor seating areas, and a grilling area making this a turn key business for new ownership. The sale also includes all the furniture. The property is in a great location –walking distance to the Kure Beach pier! Contact us for more information on the Darlings by the Sea or to set up a showing!